Is An Electric Vehicle Lease A Wise Move? A report released last week from IHS Automotive – the global information hub of sustainable business and technology – says that supply of electronic vehicles will rise a whopping 67% this year. The demand could follow suit, skyrocketing the vehicle’s popularity. Never needing to go to a gas station again? Every consumer is absolutely sold on that idea. But with the prices of purchasing electric cars ranging from $30,000-100,000, will this new fad actually be cheaper? Or is this just a marketing ploy, where consumers pay more money upfront than on the back end? Low monthly payments: The most obvious perk of an electric vehicle lease is that the monthly payment is incredibly low, partly because some states and the Federal Government offer incentives for having an electric car. In the case of the Nissan Leaf, that credit offered ($7,500) offsets the amount that is owed during the lease period, which drives down the monthly payment to $199. The Chevy Volt, starting at $34,995 can be leased at just $299 per month, and after the incentives kick in, consumers can see a monthly payment as low as $255. Other incentives include rebates up to 50%, tax credits worth 10% of the cost of the vehicle, and an exemption from most insurance surcharges. Technology upgrades: Consumers can also upgrade the technology under the hood more frequently with an electric vehicle lease. Just like the constant updates and upgrades to mobile and computer technologies, electric cars are evolving. Companies such as IBM are looking for ways to increase the range, reduce charging times, create batteries that weigh less, and increase the levels of energy from a single charge. 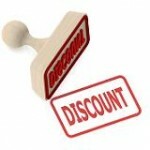 If the car is purchased, however, the consumer is stuck rolling in the New Year with yesterday’s car. Low mileage use: Don’t forget that mileage limits on leases become less of a burden, since electric cars are widely used for local commutes only. This syncs nicely with drivers who plan to drive their electric vehicle for local, low-mileage use. 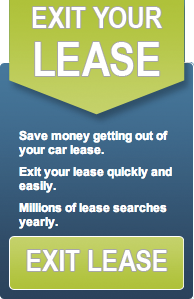 For more information on shopping for an electric vehicle lease or to learn how you can have a successful car lease trade, contact Swapalease.com at 866-SWAPNOW.